Railay Beach was one of the main reasons we decided to go to Krabi, so we rented a long tail boat for a day trip to the beach. 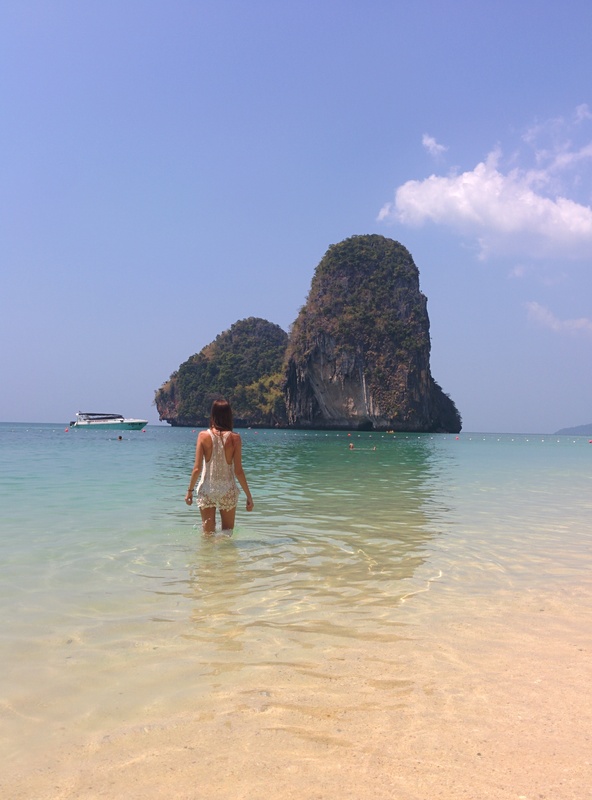 We opted for just a day trip rather than an overnight to save on money (both accommodations and food) and so we could explore the rest of Krabi. It was a decision we didn’t regret! We drove our motorbike 15 minutes from Krabi to Ao Nang beach (amazing ride!) to catch a long tail boat for 100 baht ($3 USD) each way. The boat leaves whenever it has enough people, which for us took less than five minutes. It’s worth mentioning that the beach town of Ao Nang is worth checking out, even as a place to stay. Packed with beach stores, food options, and a good beach vacation vibe, we really wished we had known it was such a happening place. Compared to the somewhat underwhelming town of Krabi, it may have been a better home base for this leg of the trip. The long tail boat ride was about 15 minutes and the ride itself was gorgeous. Sailing past all the rocks and peaks coming out of the water and getting to see the beach up ahead was truly breathtaking. Our anticipation to get to the beach grew and grew the closer we got. Once we arrived, we didn’t set out our towels to relax just yet. 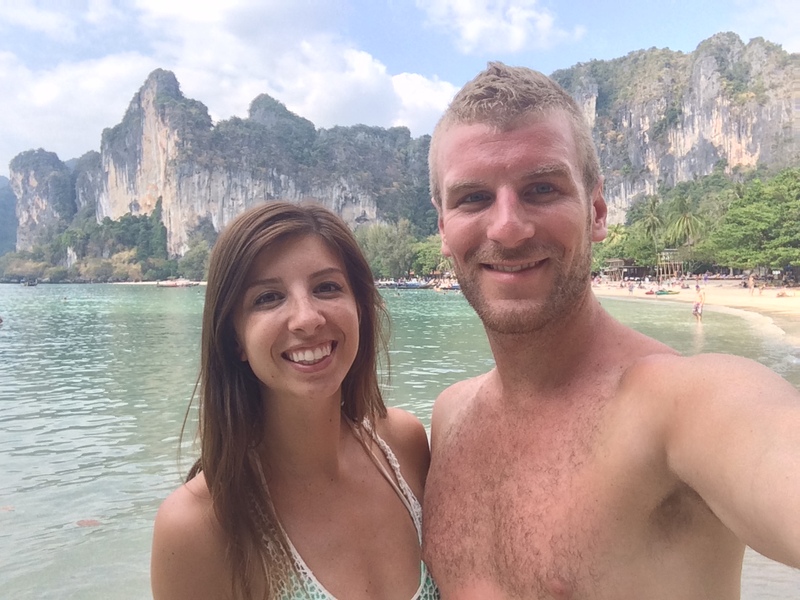 There are many different beaches on Railay, all within walking distance, so we wanted to pick our favourite. We walked from Railay West to Railay East and then to Ao Pranang. On Ao Pranang, there are some really cool rock climbing setups and you can check out the Pranang Cave. Overall, Pranang beach was our favourite place to sunbathe. The beaches didn’t get too busy while we were there and the water was perfect. 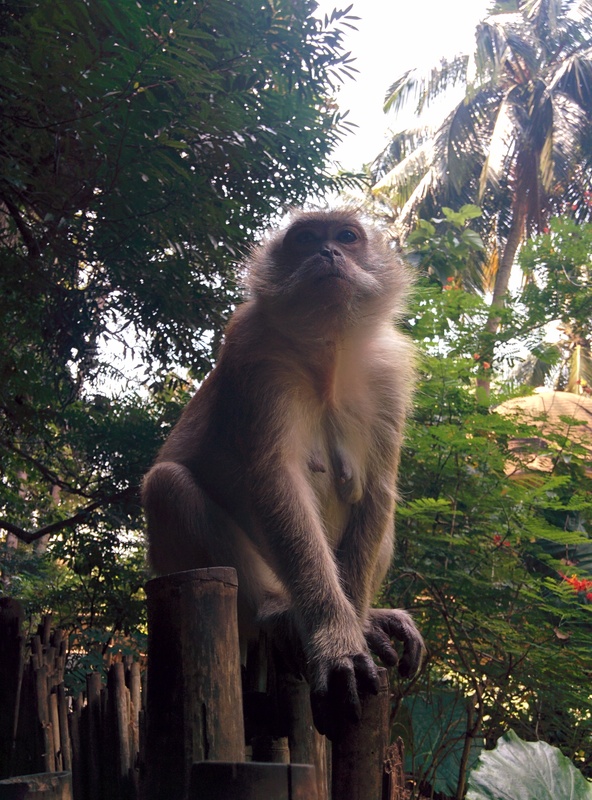 We explored the island, met some monkeys, checked out the caves, and grabbed an incredible chicken shwarma from an expat who owns a little shack. It was the perfect day trip to take in another beautiful Thai beach. With that, we figured only pictures could do the rest justice. Enjoy! 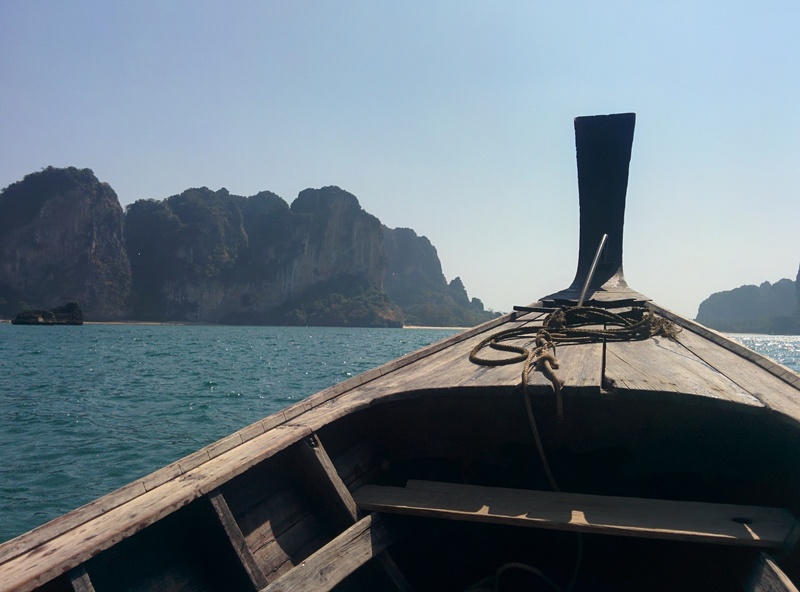 After several days of island hopping, it was time for all the natural mainland beauty that Krabi had to offer. We were looking forward to Railay Beach, as well as the mountain scenery everywhere. We arrived in the evening and were welcomed by the night market where we snagged $1 crab cakes and delicious smoothies. Every evening, the night market comes alive with so many different kinds of foods all for super cheap. 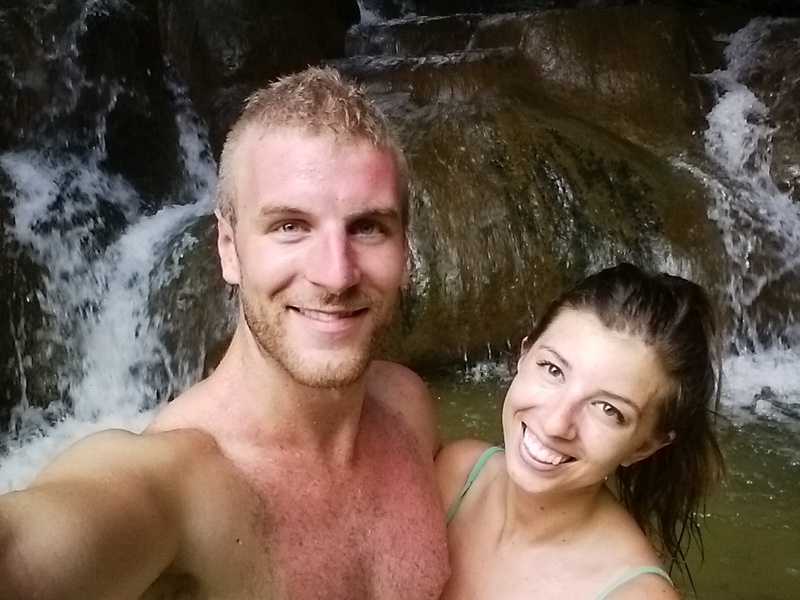 We woke up early the next morning to ride our motorbike to the Emerald Pool and the hot springs waterfall. Many tours offer a package to the pool, the hot springs, and the tiger temple but we opted to go on our own time to avoid the crowds and schedule. The Emerald Pool (Sa Morokat, Crystal Pool) is a natural pool of water filled with clean, pure, glistening water. It’s at an absolutely perfect temperature for lounging all day, surrounded by forest. We got there around noon and it wasn’t too busy. The water was so clear; you could see the ground and everything through it. It was a perfect crystal blue. Close by was the Blue Pool, which is spring water that has this almost fake-looking aqua blue color. It was really pretty to look at. There’s no swimming allowed at the Blue Pool, since it’s surrounded by quick sand! When you clap your hands the sand bubbles up underneath the water, which was pretty cool to see. Next we were off to the hot springs, which was home to a small series of waterfalls. It was basically a naturally made jacuzzi. Getting in at the top, the water is pretty hot but as you go from the top level down to the other levels of the waterfall, it slowly cools down. 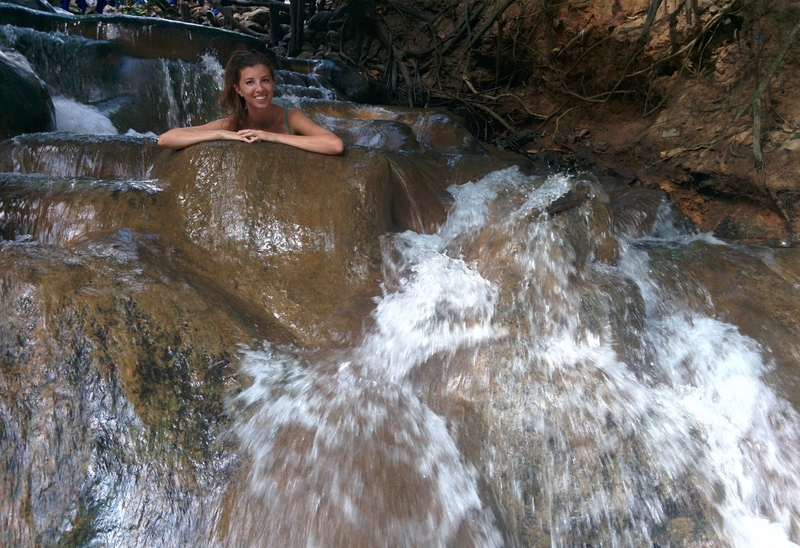 The waterfall has tons of areas to sit and relax or find some gushing water to play under. When you get to the bottom, you can jump into the pond to cool off before heading back to the top again. Words don’t do this place justice… it was as beautiful and refreshing as any spa could ever hope to be. 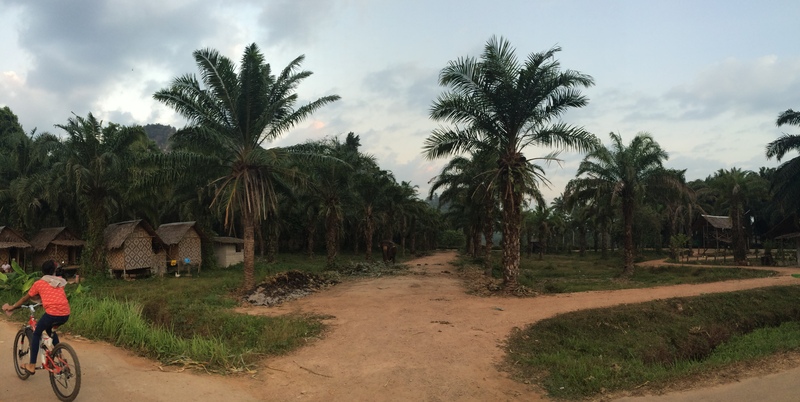 On our way home, we got to enjoy the beautiful limestone scenery, as well as rubber tree plantations and jackfruit farms. It was one of the most incredibly beautiful motorbike rides of our trip. We pulled down a side dirt road as we pulled into town to watch the sunset, and were greeted by a few local boys and an elephant. The locals who owned her let us take pictures and enjoy the view of the sun setting over their property. 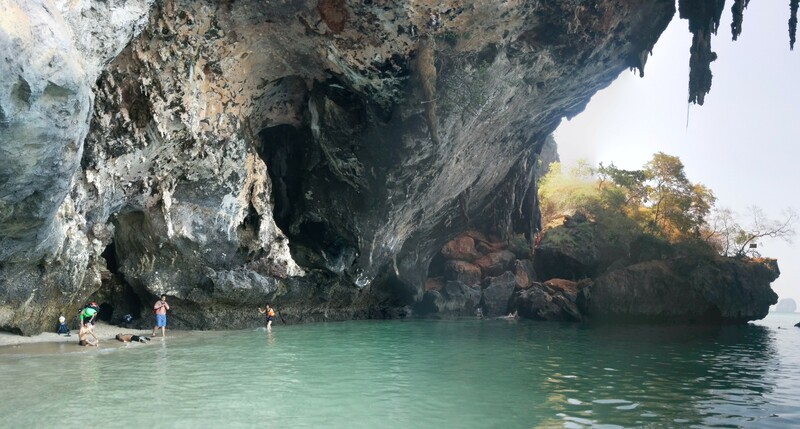 Thailand is filled with so much beauty, and Krabi especially gives you chances to see nature at its very best. It was refreshing to feel somewhat off the usual tourist path and being able to take in the sights Thailand has to offer.